If humans want to limit global warming, we’ll need to drastically reduce our carbon pollution. We might need to do so even faster than our models suggest, because as scientists are now discovering, there’s an additional factor working against us: fire. Last week, we learned that Indonesia is in the midst of a devastating fire season, one that’s sending as much carbon skyward as the entire US economy. Indonesia isn’t alone — Western North America is currently recovering from one of the most brutal fire seasons in memory. Like Indonesian peatlands, boreal forests across Canada and Alaska sequester tremendous amounts of carbon in their soils. So it shouldn’t come as a surprise that North American fires, too, are now contributing to Earth’s dangerously high carbon emissions. This week, a report in Nature Climate Change reached a disturbing conclusion concerning the Yukon Flats, a remote region of northern Alaska that burned heavily throughout the summer. 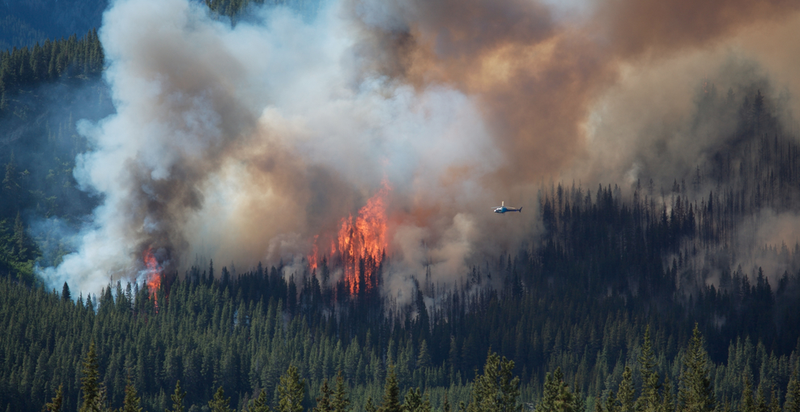 Using an ecosystem model to reconstruct fire conditions over the past millennium, the researchers showed that the Yukon Flats is experiencing a “rapid increase in fire activity,” a trend that’s caused carbon storage to decline 12% since 1950. As we suspected, fires are causing centuries-old soil carbon to go up in smoke. This December, leaders from all 196 countries will meet in Paris to hash out a global climate accord that will set the trajectory of human carbon emissions for decades, if not centuries, to come. Hopefully, knowledge about this vicious cycle of climate change and forest fires will strengthen world leaders’ resolve to agree on policies that make a substantial dent in our carbon emissions, paving the way toward a fossil fuel-free future. We’ll be keeping you up-to-date with all the important climate news as Paris draws near, so stay tuned.